The Crippleage « Grumpy old fart!!! 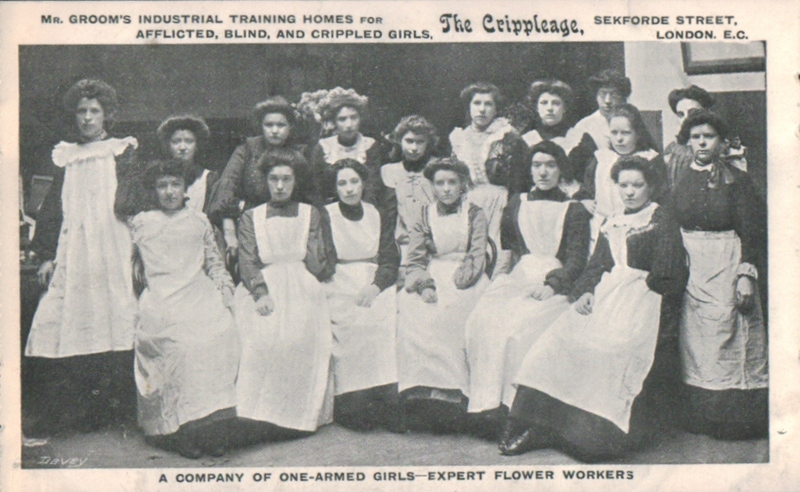 John Alfred Groom was a London engraver and evangelical preacher, who became concerned with the plight of the poverty-stricken and often disabled girls and women who sold flowers and watercress in the streets around Farringdon Market. 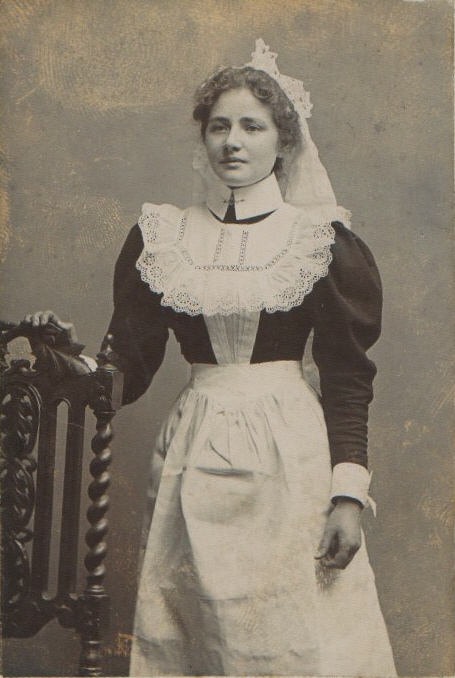 His work with them began when he founded the Watercress and Flower Girls’ Christian Mission in 1866. A permanent home for the mission was found in Harp Alley and Lord Shaftesbury became its first president. Religious services were held at Foresters’ Hall until its destruction in 1890, after which John Groom purchased Woodbridge Chapel, Clerkenwell. 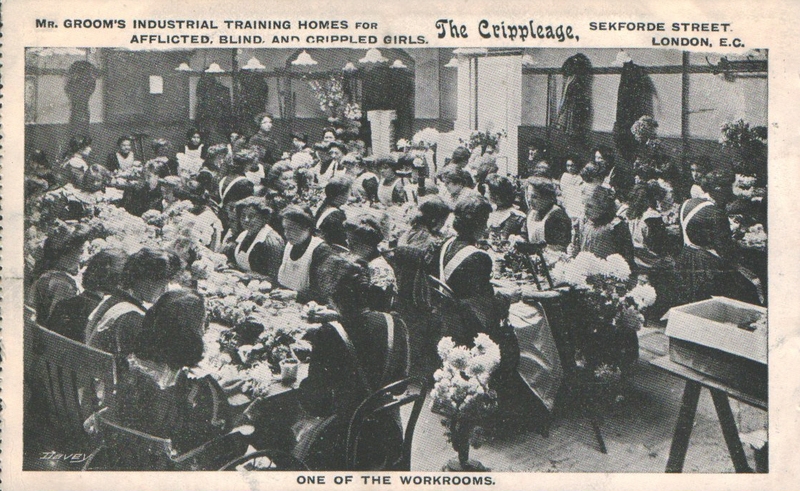 Taking inspiration from the trend for imported handmade flowers, John Groom set up a factory in Sekforde Street, close to the Woodbridge Chapel, where disabled girls could work at making artificial flowers and thus make a living for themselves. The girls lived in houses in Sekforde Street, rented by John Groom. Further factories were subsequently built in Woodbridge Street and Haywards Place. 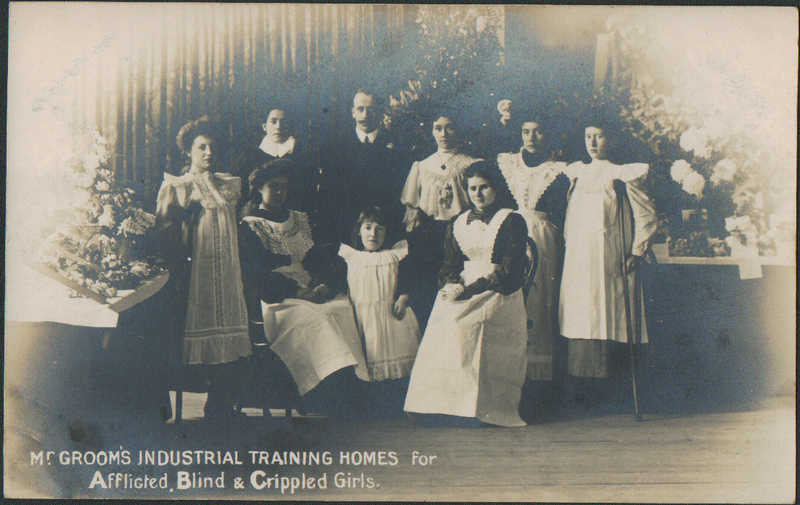 The name of the charity was changed to John Groom’s Crippleage and Flower Girls Mission in 1907.